We provide business, real estate, litigation, and employment counsel to established and emerging companies, as well as to individuals with one-of-a-kind needs. A Houston man says his neighbor stole his property and built a fence around it. Mario Gonzalez has lived on his land off Estelle Street for more than five decades. The 65-year-old told Eyewitness News he’s been fighting with his next door neighbor for years. Gonzalez said his property line extends 10 feet south of the fence. Texas Board of Legal Specialization. Mr. Dow, who is also Board Certified in Commercial Real Estate Law, is one of only 9 lawyers in Texas who are Double Board Certified in those two same practice areas. 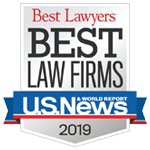 Sanford L. Dow has been selected to be included in The Best Lawyers in America, 21st edition (2015), in both practice areas of Commercial Litigation and Real Estate Law. Houston’s Top Lawyers 2014: The Firm congratulates Sanford L. Dow (Business Litigation), Debra Gilbreath (Real Estate), and Keith M. Remels (Business Litigation), who were each identified by H Texas Magazine as one of “Houston’s Top Lawyers” for 2014. Partner, Sanford L. Dow, and associate, Kat Gonyea, have filed suit on behalf of 112 Ocean Associates, LLC, against David and Caroline D’Antonio, the current owners of the Amityville Horror House in Amityvi…lle, New York, for specific performance to compel the sale of the property to the Firm’s client and to enforce the parties earnest money contract. © 2016. Dow Golub Remels & Gilbreath, PLLC. All rights reserved.